Built in 1913 and once owned by comedy duo Laurel & Hardy, the historic Ellison Suites has been a staple of the Venice Beach community for over 100 years. 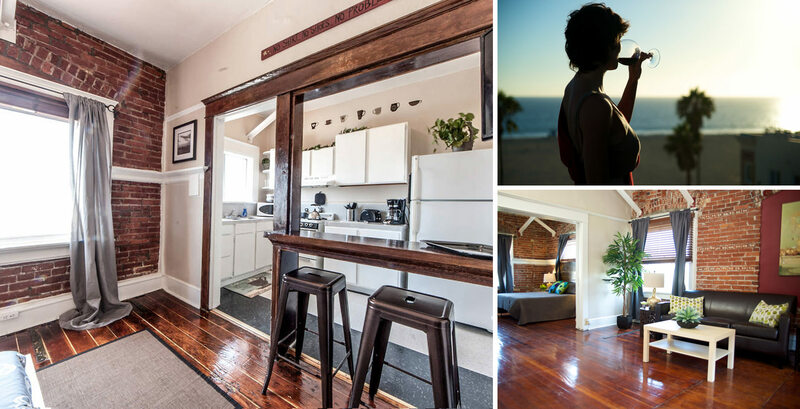 The Ellison is just steps away from the Venice Beach Boardwalk and a short bike ride from the Santa Monica Pier. Our rooftop deck provides panoramic views of Catalina Island, Santa Monica, Malibu and the Hollywood Sign. The all-suite facility features 4 suite types: Garden, Standard, Partial Ocean View and Corner Suites. Each suite has a Queen Bed, full kitchen, WiFi, HDTV with Premium Cable and a couch with a rollout bed.